Season Of Joy by Alexa Verde is a wonderful warm contemporary Christian romance. The feelings of love and care just leap from the pages, encompassing the reader. The novel is about searching – searching to belong, searching for a home, searching for the lost. The reader is reminded that God searches for us with a passion until we come home. We have all experienced loss. Tied in to loss are feelings of guilt – guilt over what we did or didn’t do. “The feeling of guilt stops us being closer to the Lord.” We need to hand our guilt and burdens to God and receive His forgiveness and love. We need to forgive ourselves. We all have choices to make. We cannot be responsible for someone else’s choices. We are only responsible for our own. The novel has the hard hitting topic of drugs. Drug addiction destroys lives. The fallout has far reaching ripples, especially when the addict chooses drugs over family. There are the themes of body image and self worth. The media presents us with the ‘perfect’ body image with disastrous effects for many. The perfect body is always the one that God gave us. We need to feel happy in who we are in Him. Where is our home? Home is not to be found in bricks and mortar. Home is to be found in the people who we love and who love us. 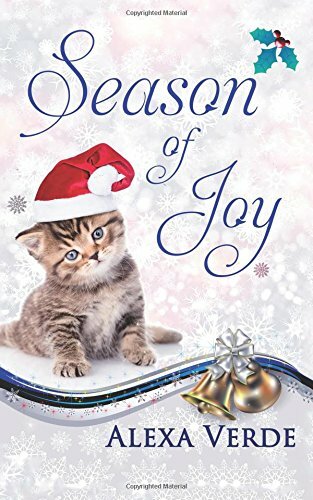 Season Of Joy is warm and amusing. The child-like trust is charming. Season Of Joy is perfect for any time of year. You understand my books so well! Huge thanks for an amazing review, Julia!